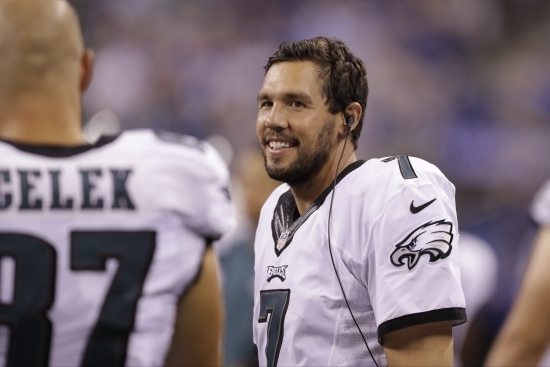 Back in March, Bradford was resigned to a two year $36 million deal. In April, the Eagles traded away several draft picks, including their 2017 1st round pick, to move up and pick quarterback Carson Wentz. Wentz went down with a hairline fracture to his ribs in the first preseason game. He wasn't expected to be ready at the beginning of the season, however some reports say that Wentz will start Week 1 vs. Cleveland Browns if healthy enough. Fellow backup quarterback Chase Daniel would take the first snap instead. The Minnesota Vikings were looking for a quarterback after QB Teddy Bridgewater suffered a season ending injury last week. Pat Shurmur is the Vikings tight ends coach. He was the offensive coordinator in St. Louis when Bradford was drafted and last year here in Philly. The Eagles' now have a 1st round pick in the 2017 NFL Draft which will be here in Philadelphia in April.